Apple pie, quiche, traditional tourtiere - so much pie goodness over the next few weeks! 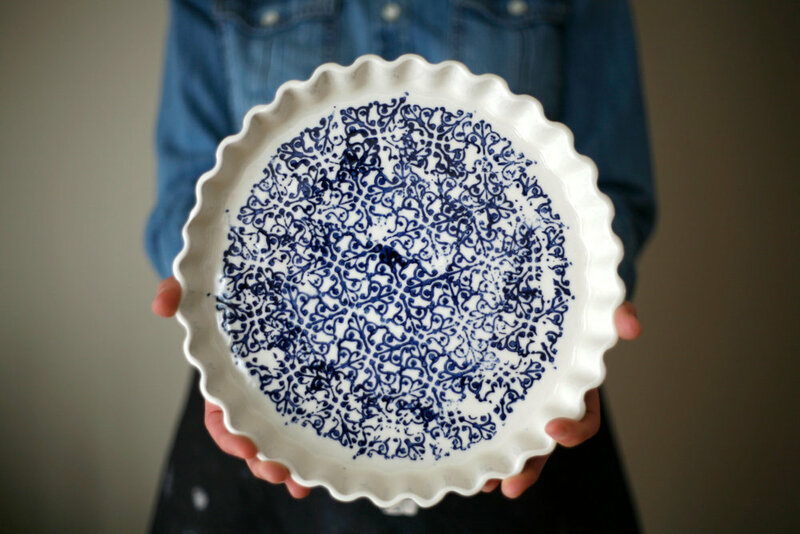 Serve your pie to guests in a stunning blue and white ceramic pie plate by designer and potter Edith Bourgault of Art & Manufacture. The style and colour, a rich cobalt blue, evoke memories of traditional pies from France and Quebec. 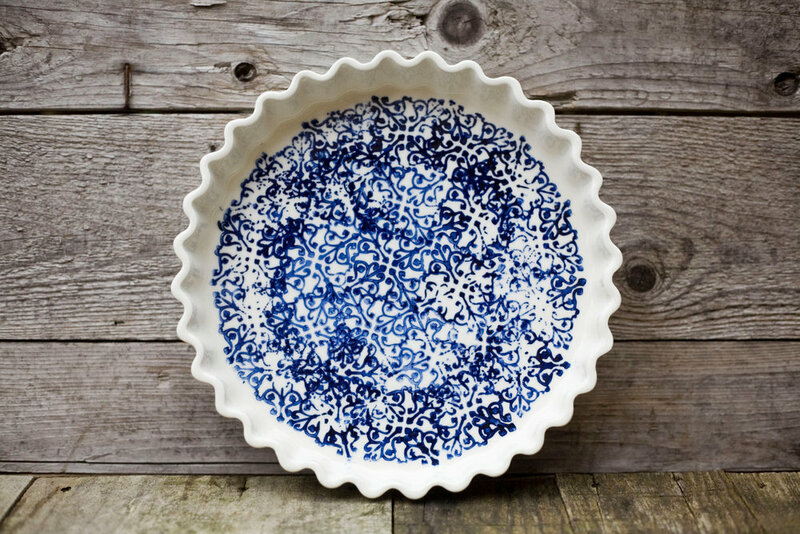 A gorgeous ceramic pie plate would also be a great Christmas gift for the baker in your life!